I only seem to think coherently when I’m ill, so it is both fortuitous and fortunate that Tom Bennett’s blog post about Sweden should come out just as I’m stuck in bed and bored. His analogy strikes a chord. I won’t argue with it; I will try to add to the polyphony by examining my Autumn half term trip to Copenhagen. 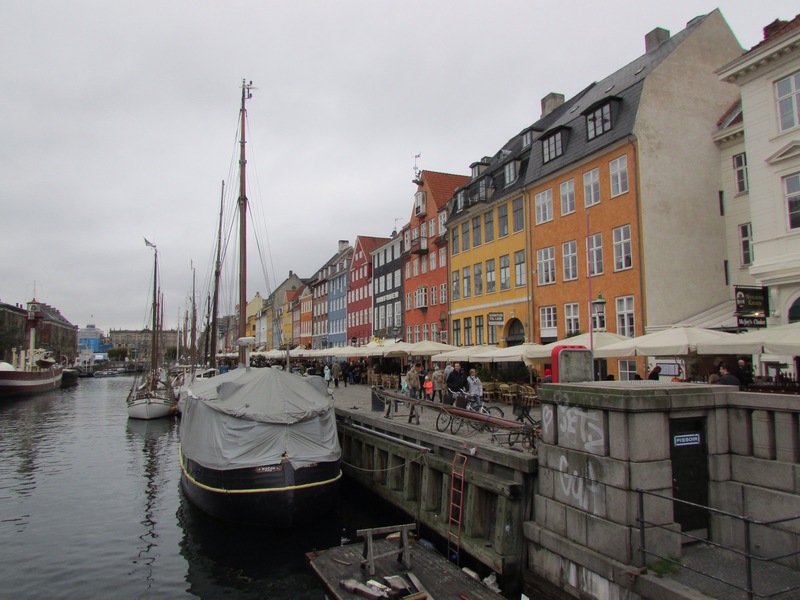 Nyhavn, the name of which I loudly and confidently mispronounced for most of our visit. a scattering of half-read stories and partially heard programmes about Denmark in the second world war. On the one hand, that’s not much to use as the basis for exploring a major European city; on the other, it shows the difficulty of using one’s own, adult experience as an analogy for children’s learning. Like Tom, I may be ignorant but I am far from naïf. When do we cease to be tabulae rasae? I am fairly sure that I knew next to nothing about Copenhagen itself, except that there’s a big government building, a bridge, a lot of water and a statue of a little mermaid. In that sense, I think I was a pretty EYFS urban explorer. Lunch with my friend Liz and her niece Nikki helped enormously. 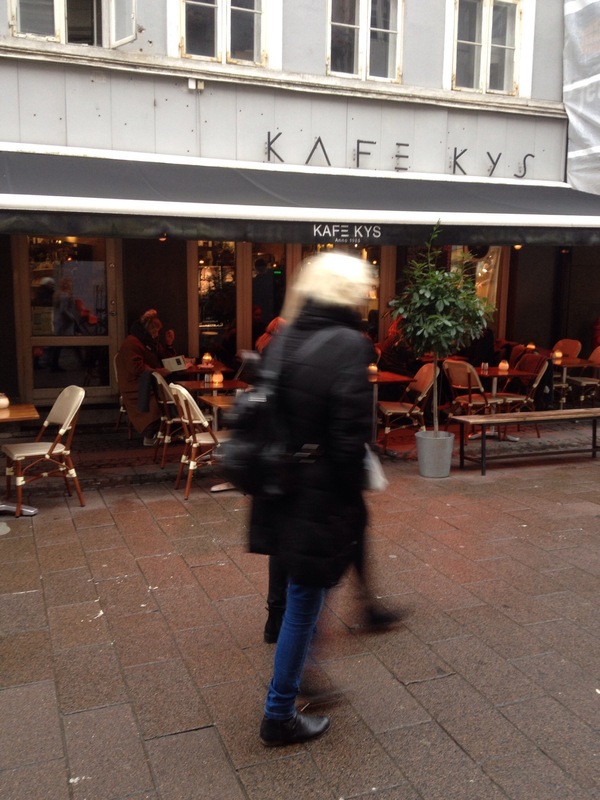 Nikki works in Malmo and weekends in Copenhagen, so she had a fairly good idea about the city. Her starting point with us was, “What do you want to know? What do you want to do?” These questions challenged me to think about my own learning intentions (as an obsessive learner, no trip is simply a holiday). I told her that I wanted to understand Danish culture and history, and to relax, eat real Danish pastries and drink decent coffee. Only then did Nikki pull out her iPad and start showing us the map of the city. I will try to recall how she did this. On the one hand, she showed the locations of various areas – ‘proper’ shopping, interesting food, museums and buildings of note; on the other hand, she related these to her own preferences and experiences. She gave us a short list of places we should visit. We wrote none of this down but came away from lunch with a better sense of what we wanted and where we might find it, now based on a mental map of the city. 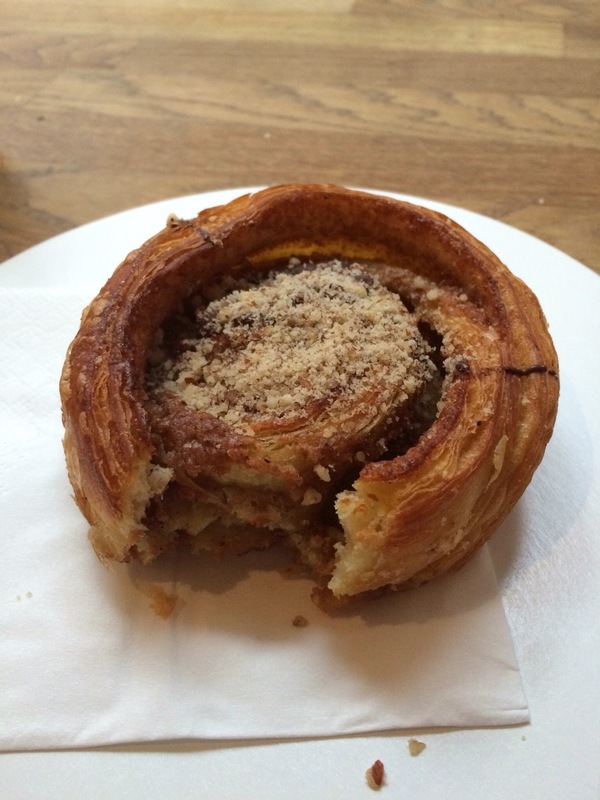 Deliciously Danish: we knew what we wanted. What might I deduce from this? That it is helpful, as an adult at least, to have a teacher whose instruction is guided by what I want to learn – or what I want to do with that learning. But also that it is uncomfortable being asked those questions because it forces me to think and to acknowledge gaps in my supposedly coherent rationale for life. Ultimately, once I overcame that discomfort, it was a relief to acknowledge my lack of knowledge and direction and to say, “Apart from that, I haven’t got a clue. Just tell us what you’d do.” So directed learning was useful and made more purposeful by my teacher’s initial questions about my own learning intentions. 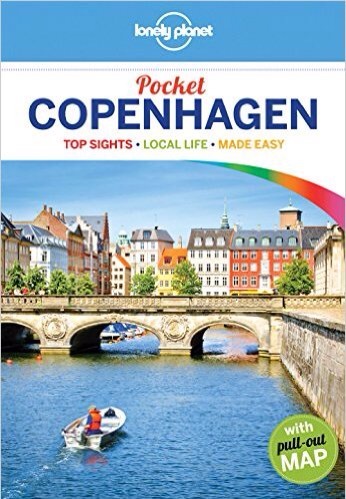 I then bought the Lonely Planet guide to Copenhagen and pored over it while my wife slept. I’d say that this is typical: when the going gets interesting, I disappear into a book. Every now and then I’d nudge my wife and bring her reluctant attention to this area or that, to Plan A or Plan B. She loathes maps and likes details, so my interruptions to her sleep had to be brief and purposeful. I like to think through possibilities, build overlapping and inter-related mental maps with alternative worlds. In this case, one in which we wore ourselves out with every cultural experience possible, and a few others in which I accepted the inevitable and we had a mixture of culture, coffee and cake. The book was bewildering: too many possibilities, too much information to absorb without tangible experience of the city, so I had to accept that this would only ever be a sketch-map. But by the time we boarded the plane, I had a better sense of where we might go, what we might do and why (this last one being the compromise between my own desires and my wife’s wishes). Once again, what can I infer from this? That I, as a learner, need time to reflect quietly, to absorb more information, to make sense of it for myself, to make further sense of my thoughts by articulating them and asking for another’s opinion. And that I prefer possibilities, broad outlines and directions of travel to tightly tied-down facts and plans. Unlike my wife. The conclusion here seems obvious: we desire, think and learn differently. Why should this be different in the classroom? I am comical in strange cities. While trying to apply my thoroughly thought-through mental maps and strategies, I ignore details such as the fact that we’re on the wrong side of Copenhagen railway station, that we have crossed the same road twice and that I’m dangerous when entrusted with a map. In short, it took me a little while to relate my vivid virtual world to the rainy reality of Copenhagen. We headed for one area, one street and one place: the nicest looking cafe, without any coherent sense of what we were doing. That first afternoon, before we booked into our hotel, we just wandered through the rain and made more sense of things. Photographs, maps and descriptions, written or spoken, only made sense when seen in context. Context such as how tired we were when walking around; how much less crowded and easy the streets were to negotiate than our go-to model of London; what other interesting and unexpected things we saw and wanted to know better; how disappointing some of our desired places now seemed; how connected and blurred the carefully demarcated areas of my mental map now became. So what? I think it showed me how fraught with misconceptions a purely mental and written construct can be. It showed me that that in exploring what was actually there, I not only adjusted and calibrated my conceptions but also found other things I wanted to learn about. This took longest and seemed to contain least thought and action. Back in our hotel room, tired and wet, we talked about the afternoon, looked once more at the map and guide book, leafed through the brochures we’d picked up and reconsidered our plans for the following two days. It was clear to us that all we had taken in so far still left us lacking a meaningful and coherent view of the city. But we had a better idea of what we did and didn’t like. And we were clear about the best place to eat that night and our first steps for the next morning. Thinking space: clean and simple. That discussion, honest and pragmatic, was important. Misdirected or intrinsically purposeless learning can be boring, frustrating and tiring. Just because it’s in the lesson plan, it doesn’t mean it’s the best way to learn. I’m quite smug about this bit because we’d always planned to go to the National Museum of Denmark. After all, with only the sketchiest idea of Denmark’s history and society, we were blundering around its capital with little sense of what was relevant and why. We walked around the museum with a group and an English-speaking tour guide, a student of archaeology. Now, not only am I smug; I’m also the irritating one who monopolises the guide. As we walked around, I was able to make even more sense of what we were seeing and being told by comparing what I had learnt elsewhere and by probing more deeply. Whether she was being diplomatic or genuinely appreciated my curiosity, she was very forthcoming. 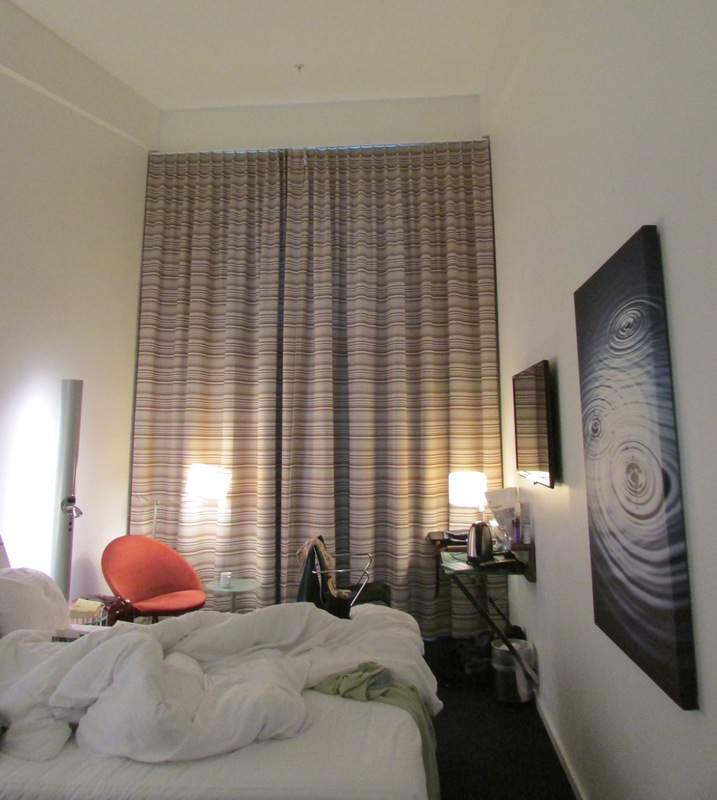 We left with a far more coherent and detailed view of Denmark and Copenhagen. 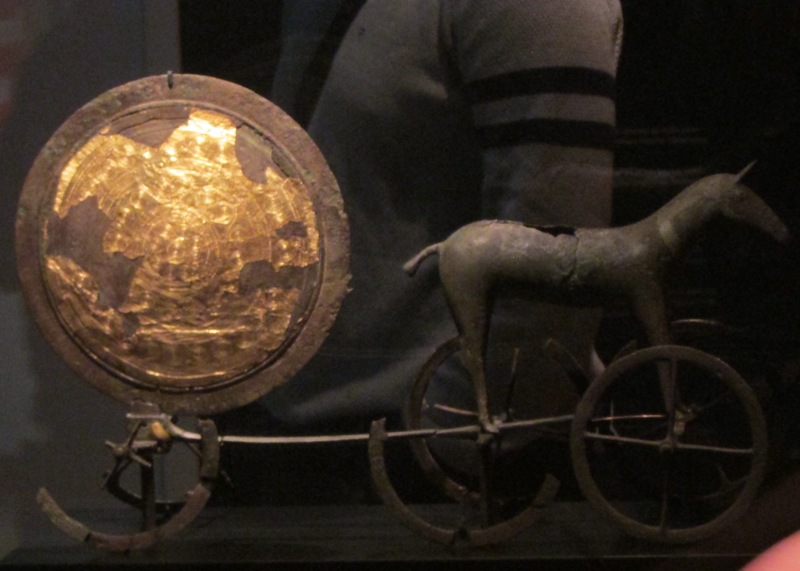 Bronze Age sun deity: the farmer who found it thought that it was a nineteenth century toy. I can only speak for myself: I need a ‘big picture’ view at some point in any substantial learning. I crave information and instruction. I learn best dialogically. And I acquire knowledge and understanding associatively. Does everyone? Armed with information, equipped with experience and clearer about what we wanted and could tolerate, we were able to be ruthless in selecting what we saw, confident that it would satisfy us both. We sped around the city for the next two days. The places we visited, the artefacts we saw, the behaviour we observed, even the food we ate had greater meaning and relevance. 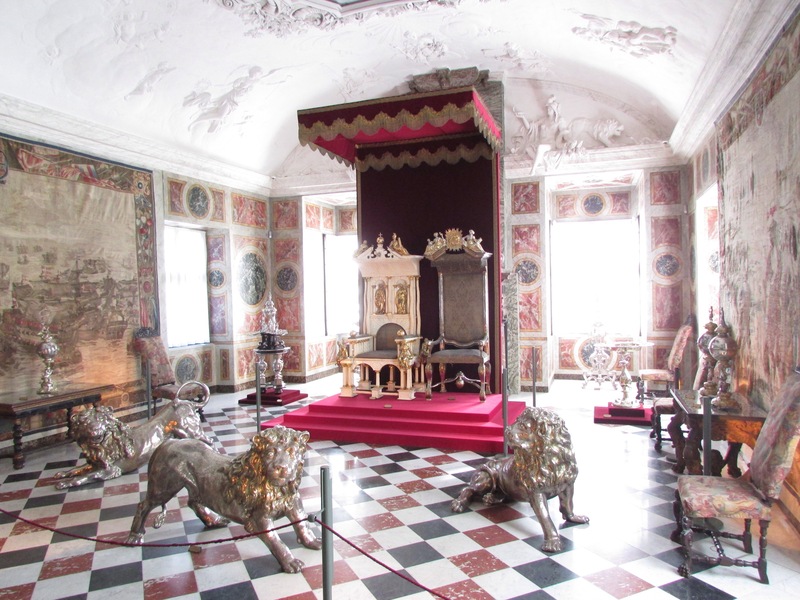 The throne room at Rosenborg Castle. Denmark’s three silver lions guard the thrones. To be honest, of course, it is still a superficial and subjective understanding. But it made every experience taste delicious and it left me hungry for more. Shouldn’t all learning be like that? So, as Tom says, sometimes we just need to be told stuff. Sometimes wandering around aimlessly is tiring and confusing. Purposeful stuff, in context, is valuable and tasty. And we need to make sense of what we have learnt, to associate and compare it with other things we know. We may also, at times, just want to be left to explore. But it is vastly more meaningful when we’re armed with the stuff. You know, knowledge. The author, in all seriousness. As carefully as I have tried to recall my thoughts, actions and experiences, I cannot escape from my own subjectivity. I have constructed this out of memory and desire: what I think happened and what I wanted it to mean. Any anecdote or analogy is little more than a story, from which you can construct your own meaning. And then you went and did it. I’m sick today. Physically ill and heart-sick. I wrote to my teaching colleague this morning to tell her that I was sorry that I wouldn’t be in and that I was sorry that my country had voted to treat her – a Polish citizen – as ‘not one of us’. Because that’s the flip side of the referendum. “We don’t want to be part of them” says something to them. Like the boy who moved his chair as far away from the girl in the neighbouring place at a shared desk. “How do you think it makes her feel?” I finally asked, in exasperation, as he resolutely refused to sit within two feet of her. The thing is, I’m one of them. I always have been (born in Iraq, lived in Dusseldorf, Malaysia and Pakistan before living for two years in Luton and then spending all my school holidays in Swaziland and Paris until I turned 18). I have little recollection of Germany but know it felt good not to be confined to British affinities when I was in other countries. And that word sums it up. Affinity. Its etymology derives from ad (meaning ‘to’) and finis (meaning ‘borders’). If I find a border, I want to stray across it, explore it, absorb some of what it means, what it feels like to be from across that notional line. It also derives from the concept of marriage. We choose who we marry – thankfully, in civilised societies, regardless of gender identity and sexual preference. We are different individuals but we seek – and find – common ground. I’ve worked a little with people from other nationalities. My most striking experience was running a series of training events for 3M Europe. Most participants were German, though there was a scattering of French, Italian, Belgian and American citizens. I and my colleague, a South African of Afrikaaner heritage, found that we felt most affinity with the Germans. We were struck by their collaborative approach, humbled by the way that they switched their conversation from German to English the moment we walked up and most closely identified with their ability to articulate both sides of arguments. We laughed at the way in which, when we announced the end of the coffee break, the Germans were sitting ready to start and the French were waving from the door as they went to light up another cigarette. The Americans, by contrast, seemed very different. While we spoke the same language and had some common cultural experience, we were very different in the way we dealt with others. The Americans (and a sample of two isn’t at all representative) always seemed to be right, always seemed to be condescendingly baffled by their European colleagues. Graham and I concluded that we were Europeans, first and foremost. I found the same when working with American consortium partners in a major construction project. It is not an experience I would want to repeat. Nor, I might say, would I want to see a repeat of an incident in which the British head of construction in one of our national utilities used an open-book alliancing arrangement to get one over on a much larger European engineering ‘partner’. Rather than ‘British values’, or even ‘European values’, I’d like to work with people who espouse ‘respectful values’. I know people of many nationalities – not just European or American – who live by these values. I’m going to describe a situation I oversaw as it illustrates the very best and worst of behaviour. I’ve been training adults and children since 1994, using a variety of team games to draw out lessons in collaboration and leadership. I could pick many examples but this is about one group of young people. Their tasks were really tough: as individuals in the group, they stood little chance in achieving the stated goal. Where they collaborated (and, of course, this was the point), success was entirely possible. I mixed up the participants so that there was a good balance of genders and approaches. In one group, a very intelligent and talented boy destroyed the cohesion of the team to such an extent that his fellow participants said they wanted to work in different teams. Individually brilliant, he became so angry when he wasn’t listened to that he separated himself from the group and, worse still, set out to sabotage what they were doing. In another group, a girl took the lead, not by saying she wanted to be leader but by having the best idea and saying, “Hey guys, let’s do this.” When they followed her lead, she encouraged and directed them. When they suggested their ideas, she listened and, where it seemed to make sense, added her support to the idea. When they complained, she told them to shut up, which they did. That team succeeded: all the other members said they wanted to work with her again. You could infer the nationalities of these two young people, and might possibly be correct, but that’s irrelevant because we can choose the way we behave towards others. And last night Britain chose to behave like an aggrieved partner, a sulking child, a “my way or the the highway” kind of person. So we’re looking at a divorce. I feel like the unhappy child of those divorcing parents. I know I’m made up of both of them, just as I am less directly related to all of humanity. They’re going to be talking – in calm voices so they don’t upset the children – about how to divide up their belongings, their finances, their hitherto shared lives. I don’t want to have to make a choice over which parent I live with, with which siblings I most want to associate. I just wish our parents – and here the metaphor collapses in on itself and fails – I just wish we had been more grown-up and thought about our children’s futures. It’s not just our children we’ve stuffed up. My parents who, as French residents, couldn’t vote, are paid their pension in sterling, that currency which just took a nose-dive. They are trying to sell their house so that they can end their days securely. Our desire to rid ourselves of migrants will now impoverish these migrants. My mum and dad. That’s one reason why I may not be talking to you. I heard back from my bright, hard-working Polish colleague. She is devastated. Happy now? To be is to be perceived. And so to know thyself is only possible through the eyes of the other. The nature of our immortal lives is in the consequences of our words and deeds, that go on and are pushing themselves throughout all time. Our lives are not our own: from womb to tomb, we are bound to others, past and present, and by each crime and every kindness, we birth our future. To vote #LEAVE is to fear The Other. Listen to the arguments: The Other is a European bureaucrat, a Romanian immigrant, a Muslim fanatic. May as well be a young offender, a public sector worker or a homosexual. The founders of such bureaucratic behemoths as the European Community and the United Nations knew that we must stop fearing and hating each other, because that will only perpetuate the wars that have plagued humanity. If they have become unwieldy and ineffectual – or too powerful – such a muddle is better than the bloody alternative. As a Quaker, I look for goodness – that of God – in others. I cannot ‘other’ them – us – because we are inextricably connected. If you recognise another person’s humanity, it becomes difficult to treat them badly – and you don’t have to look far along the path of countless genocides to see how dehumanising one’s enemy is an early and essential step. This planet is too small for us to ignore the other. #LEAVE’s parochial insularity rides roughshod over the fact of our interconnectedness. My mum, aged 75 and an immigrant living in France, put it this way. “It’s like trying to go back to a country we lived in years ago. It’s never the same.” The Great Britain that #LEAVE harks back to was a nation that was coasting to a bumpy landing after a century and a half of gaining and exploiting an empire. If we want to return to our ‘true’ state, before looting the world, we’re more the nation of John Cabot (an Italian by the way). A glance at the late fifteenth century economy would show you the importance of European trade and interconnectedness. We’re a little group of islanders: we don’t produce as much as we consume; we buy more than we sell. That’s not sustainable. 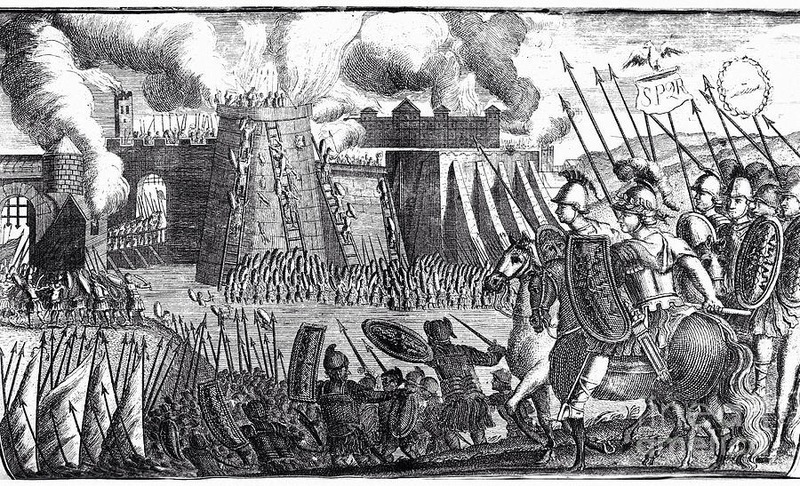 By attempting to pull up the drawbridge, we trash the lives of others and the futures of our children. And that’s my 90 year-old father-in-law’s sentiment as much as mine. If you are considering a vote for #LEAVE, be other-centred: think again and vote for someone else. I love making fried breakfasts for other people. It’s the smell and my absolute absorption in the order of activities and the perfection of outcomes that really grabs me. I serve myself a veggie version, once I’ve fed my carnivorous wife, daughter and The Boyfriend. I wanted to create a vegan version for our cousin and her fiancé, who are coming down from Northumberland to stay with us at Easter. Ruth is the first-born of our wider family, a sensible, compassionate, loving and very funny woman. Greg, reprographics manager and punk musician, bearded to add age to his too-young-to-be-true face, is so lovely that when we met him over this same kitchen table, we whispered our approval, childishly and indiscreetly, to Ruth. For me, a cooked breakfast is an act of love, wholly focused on the eater. We love them. We acquired an Aga when we bought this house. With its cast-iron clatter, it is the hearth- and heart-warming centre of a good breakfast. The essence of a balanced fry-up is the combination of sight, smell, tastes and sensations. The colours should be predominantly browns and reds (it’s a shame I can’t emulate the sunniness of a fried egg). There has to be chewiness, creamy moistness and crunch. There has to be saltiness, sharpness and sweetness – perhaps a little heat as well. And, for those who yearn for bacon, there has to be a smokiness. Finally, it is vital that the whole lot is slammed down in front of the eater, together with a large mug of properly brewed tea. Incidentally, there is nothing clever about this: it’s the thought that counts. You’ll have to decide on your own quantities. I do. Put a tin of beans in an oven-proof dish and place in the roasting oven. Sauté quartered button mushrooms and cumin seeds in olive oil, then place in the roasting oven alongside a tray of halved cherry tomatoes drizzled with olive oil. Make toast on the simmering plate (make sure it’s crisp). Cut half into into cubes and briefly blitz the other half. Return the mushrooms to the frying pan with the coarsely chopped pieds-de-moutons, drizzle with garlic oil, chilli oil and smoked paprika and add the croutons and crumbs. Stir-fry vigorously and briefly, until it is all hot (don’t do it for too long or it will become bitter). When ready, tumble mushrooms, croutons and crumbs into bowls which have been warmed in the simmering oven. Surround with tomato halves and beans (according to taste). I have used the expression ‘sitting with Nellie’ because a great deal of my professional development has been on-the-job and opportunistic. There are some who take a dim view of this approach; I’d argue that judicious choices in formal and informal development have worked quite well for me. The one thing that has run through it is that it is MY development. When Alison Peacock spoke about learning without limits during my PGCE at the Institute of Education, I raised my hand. “How do I get a job at your school?” This has been my approach to CPD throughout my careers. I use the plural because I’ve had a few. They have been characterised by continual professional development, a state of becoming rather than being. So I can only approach this subject in a rather long-winded way, from the beginning. In 1992, early on in my working life, Dr David Butcher, director of the General Management programme at Cranfield University, said something that has stuck with me throughout my careers. “If we want it enough, each of us is capable of unlimited development.” Some in the room passed cynical glances; naively, I believed it. At the time, our company was undergoing a programme of corporate and personal change. Besides grading for two belts in karate (a group of us chose a somewhat unorthodox way of illustrating David’s point), I took every opportunity that the company could offer. But even before that, shortly after my attempt at a PhD in medieval ecclesiastical history had ended in temporary work counting cars on the M5 and M6, I’d embarked on my professional development. The company, a transport planning consultancy, could see that I was capable of more, and they needed someone who could persuade and inform their clients. So I became a marketing assistant. By night, I studied alongside other half-awake men and women for my graduate diploma in marketing and gained my membership of the Chartered Institute of Marketing. After a shaky start to my career, the course and the qualification gave me the credibility I needed amongst consultants who considered ‘non fee-earners’ as superfluous. Of equal importance, then and throughout my career, was the guidance and sponsorship of a senior leader. At first a director, then the Managing Director: they recognised my potential, set me the initial challenge, supported me in my development and demanded more of me than I believed myself capable of delivering. When the company hit huge difficulties and had to be bailed out by venture capitalists, I managed my second step in my professional development in an equally unorthodox way. The ‘company doctor’ had made me redundant but wanted to know if there was any future for the firm, so he asked me to carry out a competitor analysis. Of course, I said, knowing little or nothing of how to do it. Youth, chutzpah and the need for the daily fee prevailed. In order to fulfil my brief, I turned to my father-in-law, a retired corporate finance director, who taught me how to read between the lines of company accounts, to smell out problems. Hours of conversations with him, pages of scribbled ratios and days at Companies House led to a report that revealed the parlous state of most of my former company’s competitors. Thanks once again to some high expectations of me, and thanks to my father-in-law’s tuition, I’d emerged as a jobbing freelance consultant. My twenty years in management consultancy began in a marketing capacity, but once again the sponsorship, direction and challenge of senior leaders led to huge changes in my career and capabilities. I’d only intended to work there for a year, to raise enough money to pay for a law conversion course. But it felt dishonest, so I told the chairman and asked for his advice on my career. “Stick with me and I’ll make you very well off,” he replied. Though mistaking my motivation, his offer of support convinced me to stay. The managing director then took me under his wing. He saw the makings of a management consultant in me and explicitly offered me a steep and unorthodox route into the profession, almost an apprenticeship. Looking back on the twenty years there, I pride myself on only having read one book about management, ‘Maverick!’ By Ricardo Semler. Though I could see the benefits of books for others, my preferred ways of learning were on the job. I was assigned to a very experienced consultant as his assistant in interviews, information collection, analysis, report writing and presentation. I thought I had a decent brain and a way with words: he taught me what not to say, what to say and how to say it. In some pretty bruising conversations, in which I had to learn that I couldn’t simply expect to apply my prior learning to this new role, he shaped me as a consultant. 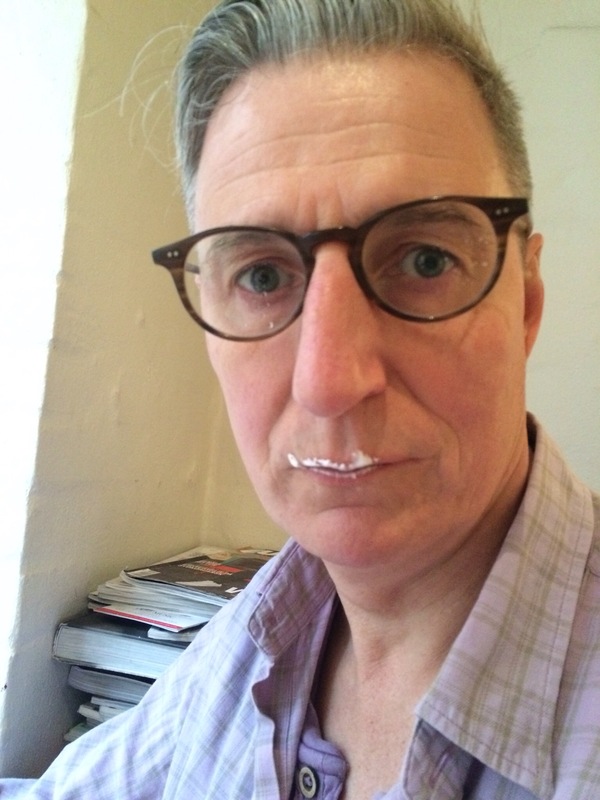 My managing director wasn’t content with that. We were a firm of practitioners who also preached, project managers who consulted, so he set out a path for me into managing projects. This was by way of training others. One of the best ways of obtaining a pretty deep and rapid understanding of a subject is the terrifying prospect of having to teach people about it. There was an explicit logic to the development: I was assigned to a senior consultant, who gave me an overall understanding of what we taught. He then took me through a session and patiently explained each point: what he said, why he said it, what it led to and, importantly, how I should make it my own point. I had to understand my subject, and draw on my own experience, if I was to have any credibility in front of our clients, and if they were to learn from me. Next, I accompanied him to our residential courses in a supporting capacity, watching, listening, learning and then discussing what it all meant over dinner and late on into the night. Only when I was comfortable with what I was to teach did I begin to present individual sessions. After each, there would be a painful “So how did you think that went?” session. My colleagues and I all used to walk around with large lever-arch files full of feedback. Though useful, we eventually had to learn how to filter out what was of most value to us. With his help, however, I became able to present the technical content of our training. There was a subsequent and, in many ways, far steeper step. I began to work alongside David Butcher and his colleague at Cranfield University, Dr Catherine Bailey. Both occupational psychologists, they worked with us to provide management development for our clients. We taught the technical; they offered deeper development. And once again, I learnt most at dinner and afterwards. Like many of my colleagues, I gave David and Catherine permission to be extremely blunt about what they saw and what would be necessary for me to develop. While my consultant colleagues had worked on my knowledge, understanding and skills, Catherine in particular addressed my values, attitudes and behaviour. I learn best from watching, probing for meaning, practising and then reflecting on what I’ve done, action learning for want of a better name. For years, long after my ‘apprenticeship’ and when Catherine and I were working on assignments as equals, she continued to provide this deep and challenging development. It is best characterised by her exasperated comment one night, “Malcolm, this is the point where you shut up and I teach you something.” There was a three-way contract, between Catherine, me and my company. And I cannot overemphasise how important the sponsorship of my managing director was, as during this extended period, the company was making little or no money from me. It was a very informal and very expensive route to further professional development. The company was heavily involved in the emergence of a professional body for project managers. While jokingly someone had said, “If we were arrested on a charge of being project managers, would there be enough evidence to convict us?” there was a real determination to assert our still nebulous profession alongside the engineers and other specialists whom we managed and with whom we worked. Though I lacked the confidence and, at that stage, the experience to claim membership for myself, I was interested and involved in the accreditation of my peers in the profession. One of the big drivers for professional accreditation in project management was assurance. This ranged to the formal assurance required in safety critical environments such as railways, to giving some comfort to a client who was about to part with large sums of money and hand over the running of a major investment to a stranger. And an important element of that accreditation was the requirement for continuing professional development. Our environment was constantly changing and we had to show we were keeping up with it. I worked extensively on this with Catherine Bailey, as one of her areas of expertise was competence development. Our work culminated in a paper that was runner-up for an award from the Association for Project Management: Catherine provided the brains; I provided the beautiful prose. I continued to pursue my own development through ever more challenging assignments. One or two of the assignments were flops, and my employers afforded me the luxury of making sense of failure. Successful or otherwise, most of my work taught me through getting my hands on practical activities, and working alongside, questioning and listening to other professionals. Plan, do, discuss, derive meaning and move on, over and over again. I found a professional home while helping a group of internal consultants in the civil service to gain certification as management consultants. The scheme was new, as the Institute of Consulting was attempting a similar effort to assert its credibility. The consultants I was managing were also attempting to assert their professional standing in an organisation that valued more conventional career progression. Together, we put together our portfolios and submitted them before our interviews. After ten years in the business, and as a leader, I expected to sail through. My recall for a further scrutiny was salutary. Judged by my peers, I hadn’t adequately demonstrated how my experience and development had made an impact on my work. Though the errors were quickly remedied, this insistence on evidence for the impact of my continuing professional development was important. Similarly, when I was accredited as a leader of reviews for high risk government projects (the Ofsted of public investments), it was a judgement by my peers, subject to a continuing need to demonstrate that I was still up to the job. In a blog post supposedly dedicated to my continuing professional development as a teacher, it might seem strange to have waded through so many words before it even comes up. In fact, even before this, I qualified as a swimming coach and gained another degree, a first in English. I have, in short, a never-ending thirst for development. But management consultancy wasn’t meeting that need. In the words of a colleague, I’d been coasting for some time. So I retrained as a primary teacher. Approaching fifty, this was hard. After a career in management, I had little desire to lead a school: my ambition was to be an advanced skills teacher. I chose the Institute of Education because its emphasis on the academic aspects of education, and on reflection as well as practical grounding, appealed to me. I found the guidance of my tutors invaluable, and probably made far heavier demands on them than my younger peers, to explore the meaning of what we were learning. Like most PGCE graduates, I recognised that I went into my NQT year only half formed. I was fortunate to work for a local authority that afforded me the time and opportunities to learn and meet up with my fellow NQTs, but I found the collaboration with my NQT mentor, a colleague and former deputy head, most valuable. For me, observation, and evaluation are essential, so I sought out her feedback. I watched her, she watched me, we team taught, we planned together and we talked a lot. She rapidly made practical sense of what I approached in an idiosyncratic and overly theoretical way. Teaching can be a lonely pursuit, and once again I owed a lot to my head, who invested more of the school budget than he might have done in supporting my development. My experience in the private sector was brief, unusual and illustrative of the value of unorthodox opportunities for professional development. I found myself teaching alongside a colleague who also taught adults. While I had some opportunity to observe her in lessons, I wanted to understand her approach, the way in which she set such high expectations for pupils, filled them with enthusiasm and gently but persistently facilitated their learning. So I enrolled in her evening seminars on James Joyce’s ‘Ulysses’. Over twenty weeks, I watched her apply the same approach with adults, discussed what she did and why, and explored how I could apply it myself. I learnt a lot more than just one summer’s day in Dublin. Last term, at a school in special measures, I experienced even steeper development. Early on in my career, I learnt about the ‘transition curve’, a graphic way of illustrating the levels confidence and typical attitudes at different stages of development. With a significant number of new teachers in the team, we couldn’t afford to take time to settle in. So I very quickly went through the stage of assuming that all I had to do was apply my prior experience, into the slough of despond associated with lessons that just weren’t working for the students and up towards lessons that offer the opportunities that these pupils demand. I did this through the calm direction and trust of my head, through some well-timed and practical interventions from the senior leadership team at a neighbouring school and through close collaboration with our assistant head. Once again, we observed each other, we planned together, and we reflected. Though younger than me, she is far more experienced: I have a lot to learn. But she is also hungry to learn, and our development felt mutually satisfying. We’ll be staying in touch. 1. CPD comes in varied and often unorthodox forms: we must recognise that and sometimes look for it in the strangest places. 2. In professional development, impact matters: we learn, we practise, we make sense of it, we are transformed, we produce better results from our lessons. 3. We have to believe in our unlimited capacity for development, seek out opportunities for it and be open to others’ well-intentioned, well-framed and well-timed interventions. 4. Colleagues are vital. We are at our best together, learning with and from each other; at our worst and loneliest if we think we are on our own. 5. The sponsorship of senior leaders is also vital, be it direction, belief, trust, resources or opportunities. But most of all, we need time from our leaders: time in the week to pursue development and time over the terms to make sense of and properly assimilate learning. I am looking to the College of Teaching, as a classroom teacher, to help in advancing these five enablers for my continuing professional development. What next? Teaching will take me through to retirement, as I have so much to learn. Beyond that, I’m eyeing up a place at Oxford to read PPE, perhaps to pursue my doctorate. But only when I’m ready. So much to find out, and only one life. It makes me bloody furious to hear that libraries are being closed. But it’s Saturday, so I’ll chill out and remember the libraries that meant most to me. First, a sunlit room at the edge of my memory, at my primary school in Lahore. I discovered Tintin there at six and began my lifelong love of graphic novels. No pupil in any class I teach will hear that their graphic novels are somehow not ‘proper reading’. Secondly, the central library in Luton, where I continued my primary education. Here I found Tove Jansson and her pared-back prose. Visits to the library ranked closely alongside the Saturday matinees at the cinema. My only worry was when I lost a book at school: I thought the people who ran the library there would talk to the central librarian and I would be thrown out of the building. Note to self and to library staff: don’t persecute forgetful young readers. The library in my prep school boarding house was a wonderful mixture of ageing paperback storybooks, tattered novels and – joy of all joys – National Geographics going back to the thirties. I found out about so many other times and other places. It was a copy of Hard Times I found there that most gripped me. I was twelve and had just come through the living Hell of the previous year (the housemaster, a former inmate at Changi who had allowed a boy-led regime of utter brutality, had died during the previous term). There was something about the lives of the children, and the awfulness of Gradgrind, that so gripped and angered me that I sat up all night, hidden in a toilet cubicle, reading it from cover to cover. 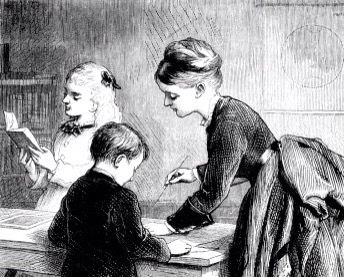 Once again, I cannot criticise any pupil who yawns in class and can convince me that they were up late in the company of a good book. Bedford School’s library was a memorial to the hundreds of boys who had briefly been men before they died in the service of their country. I loved the gloomy recesses, the randomness of the knowledge available to me and the age of so many of the books. Here I found a book by Kingsley Amis: The Riverside Villas Murder and one by Virginia Woolf: Orlando. By no means clever or edifying, they spoke to me at a time when I was trying to understand myself. I have to think carefully about what is ‘appropriate’ for a pupil to read, as I cannot know all that is going on inside their head or outside the school gates. Queen Mary College’s library was largely a place where I could find the books I needed for my frantic essays. Somewhat cynically, I chose to study medieval history because there were fewest books in that section (so I assumed it would be easier than the more book-laden modern subjects). The very randomness of the available books (there were never the ones that my tutors recommended so I had to be very creative when applying and citing what I was able to find) actually made me think harder about my essays than if I’d been better equipped, I think. The glorious randomness of a visit to a library, knowing that you don’t have to pay for your exploration, is quite different to a bookshop, though the best shops allow ‘extended browsing’. My great love as an undergraduate was for the Senate House library. I especially liked Saturday mornings there, quieter and more relaxed. Behind the bronze and limestone grandeur of this fascist stump of a building, the shelves were labrythine, the back staircases and creaking lifts were claustrophobic and the little nooks for reading were a welcome hiding place. One of the joys of an arts degree in the eighties was the lack of pressure on us. I was able to wander widely with my reading, and learnt about far more than the reading list. Reading is a state of mind: I try wherever possible to associate it with warmth, safety and private comfort. Libraries may be the only place where that is possible. As a graduate student, the echoing, cavernous reading room at the British Museum was exciting and distracting in equal measures. It was thrilling to think that Karl Marx had worked in the same space. I can’t say that I managed much research there, but the manuscript room was a different matter. When the librarian brought me my twelfth century cartulary, it was like handling a saint’s relic. Sometimes, the vellum still seemed as fresh as when the scribe had stroked his quill across its surface; sometimes it would be a shrivelled scrap from the Cottonian collection, so damaged by fire and water that I could only guess at its contents. When I am recommending books, I treat them as precious objects, not because of their physical state but because of the exciting treasures they contain. Libraries offer these riches for nothing. My relationship with libraries as a parent evokes memories of curling up in corners with my daughter and a pile of books, which I’d read and then we’d read and then she’d read. 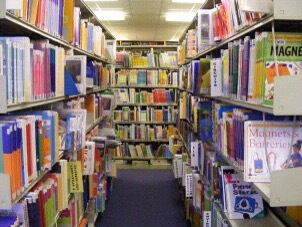 And memories of gathering armfuls of books to take home for bedtimes together. Many adults ‘get’ this. Library visits with children shouldn’t be transactional, supervised expeditions: they should be the pursuit of a shared pleasure. Children, alert to what we think, say and do, will ‘get it’ if they see us joining in with reading. Libraries have to fight hard for my attention now. I have the Internet, bookshops, ebooks and more tangible demands on my time. I still visit my local libraries to pillage their reference shelves for topic-related books (and ring up huge fines when I return them after they are due back). Until I have a grandchild, until I begin my next part-time programme of study and until I exchange time for money in retirement, I’ll probably see far less of libraries. I just hope libraries are still there when I need them. I woke up this morning with my Saturday-morning-curious head on. During the week, I tend to lower my head, brace my shoulders and just Get. On. With. Teaching. On Monday evening I’m shocked by the new week. On Tuesday evening I’m stifling a yawn. By Wednesday evening I’m tired. And on Thursday evening I’m thinking about 3:30 on Friday. But after our traditional Friday night Waitrose curry in front of whatever crap there is on telly and a ridiculously early bedtime, I’m alive and alert again. This morning I was fortunate enough to read an article quoted by Greg Ashman about the influence of context on the transfer of knowledge and understanding. The subject immediately engaged me, and I found that I had the conceptual capacity to think through it rather than just read it. I wanted to try out the concepts in my own classroom. I also read John Dexter’s blog about CPD in his school. That excited me too, and gave me some ideas. But I know that when I get back to work, I’ll stop being the excited twelve year-old who wanted to test every new concept and become the 52 year-old pragmatist. In some ways, it’s unrealistic to expect a teacher to sustain the open curiosity of their younger self: we’ve changed and the context has changed. But what came to mind this morning was a big think-bubble above me. What if – just possibly WHAT IF – I could experiment at school? That was the twelve year-old talking. The 52 year-old said, “No. We’re too busy and too knackered. Great idea, but we’ll never sustain it.” Somewhere in the conversation, a third voice entered (I’ve yet to work out who it is). Here’s what it said. Twilight INSET sessions are a living death. Tired teachers ploughing through PowerPoints, pointless exercises, preparation for Ofsted or ‘Show and Tell’ from someone’s recent CPD. Ours is on Wednesday evening. I actively and eagerly participate, mostly because it keeps me awake. PPA is mostly spent not planning. We chat, we explore resources, we make tea, we chat some more, we look around for some more stuff and we flip listlessly through exercise books. How about a bit of ‘flipped learning’? Some schools are encouraging their students to read around and prepare in their own time for topics that are then actively and collectively explored in lessons. That worked really well for me as an undergraduate, where my contributions to seminars were animated and well-informed. I can plan unconsciously. I don’t need to be at my creative best for the ritual of writing and revising my weekly plans. On those Wednesday afternoons, armed with some high octane coffee and a packet of chocolate Hobnobs, I think my colleague and I could motor through our plans for the following week. And instead of spending our PPA on planning, why not spend it on learning? Whether simply as a pair, or with colleagues who share our PPA slot, why don’t we spend some or all of the time in some intense CPD or pursuit of research into our pupils’ learning? We’ll be more alert for an activity that demands all of our consciousness and a good helping of energy. Within a school, the cycle might be a half or whole day INSET each term and one twilight INSET and three or four CPD weeks each month. The INSETs might actually be more engaging because they will inform and be informed by our own learning. A wider, more animated ‘show and tell’. And, given a whole-school consensus on what colleagues want to learn and research, the body of professionals might become more active learners as well as great teachers. It’s a Saturday daydream, just like my plans go enter a team in the national schools swimming relays (which began in a burst of enthusiasm last night and died when I realised I wouldn’t have enough boy and girl swimmers to make up two teams). But maybe it’s worth mentioning to my colleagues. I’ll be interested to hear what they have to say. I’d also be interested to hear what you have to say. One of the pleasures of living in my head is the pile of dog-eared pages of history and etymology lying on my dusty mental shelves. Last week, as I was taking the register in Year 2, I explained the significance of their names to as many children as I could. I told Matilda about a mighty empress who fought the king of England for year after year so that her son could claim his crown. Eleanor, I said, married Matilda’s son and became queen of dominions that stretched from Scotland to the Pyrenees. Alexander learnt that his namesake had ruled an empire that reached almost to India. One or two of the pupils’ heads turned at this, their history touched by this long-dead man. Lucy heard how people in Denmark celebrate the longed-for return to longer days on a day named after a saint whose name, translated, means ‘light’. Sophie gave a gap-toothed smile when I said that her name meant wisdom. Later, when I told Laetitia that her name was ‘happiness’ in Latin, one of her friends joked, “That’s not what her parents think.” So much for names. Yesterday, I was thinking about teaching and obsession. I can be quite an obsessive person, though the sieges are brief. I mention this because the word ‘obsess’ comes from obsideo, to besiege. We talk about people being obsessed with things or ‘obsessing’ about things; I’d like to retain a translation that is truer to the original metaphor: we are obsessed by things. It can become a passive state of mind, one in which we lose control. Like a medieval town, or starving Stalingrad, we allow our thoughts to be surrounded by concerns, ideas, enthusiasms or pursuits that may cut us off from wider conversation, experience and company. Obsession can constrain or narrow thought. I’d rather be committed. Originally meaning ‘to entrust’ from the Latin conmittere (con meaning ‘together’ and mittere ‘put’ or ‘send’), there is something more active about this. I commit myself to my job and my profession. And I commit myself to my family and friends. This handful of doggerel was nagging at me when I woke up today. It will disappear into the ephemera of blogposts and tweets, but demanded to be written down. and dream of you instead. when you, too brief, are dead. clings to life in a plastic pot. Quite banal, but based on the morning’s anxieties and Friday evening’s worry, when I came home to hear that my dog had been bleeding uncontrollably from a wound on her chest. She’s fine, but it made me think about her mortality and the huge consolation she gives me. It’s difficult to worry for long when you have a dog beside you. I really did look out of the kitchen window and see that coriander. Against all reason, this throwaway ingredient has survived for months on top of the sundial in our courtyard. We live, we hang on to life, we die. I found this story on an old memory stick. My daughter wrote it almost seven years ago, when she was thirteen. It’s a well worn anecdote within our family (here and here are my own versions, in verse) but I’d never heard her version. Here it is. The crudely cut hillside was covered in dark grey slate. The roads were rough and winding, framed by irregular hedgerows. The car purred slowly along the track towards the Llanberis pass, sheep dotted randomly outside the window. There were two passengers inside the car. A girl and her father, both silently hypnotised by the steady beat of the music playing on the car radio. The girl was sleeping, slumped against the cool glass of the window with the crumpled map draped across her knees. The car rounded a corner and the small town of Capel Curig came into view. The welcoming lights at the windows woke the girl and the car came to a stop. The bags were unloaded quietly in darkness and the two people sleepily climbed the steps up to their usual room on the second floor without noticing anything. The girl sat up suddenly. The loud yelp from the bathroom had signalled her abrupt awakening. The familiar, tall figure of her father sprang from the room, fingers wrapped in a fluffy white towel. “I forgot the water was so damned hot here! Do you know where the plasters are? I think they’re in my back pack, can you have a look?” said the man, who was obviously her father. She climbed out of her bed and looked in the old, blue Vango back pack that had been to this beautiful part of Wales many times before. She saw the turquoise first aid box wedged into the side pocket. She handed it to him. He fiddled around with the box for a couple of minutes before she took pity on him and opened it herself. She took out a large square plaster and handed it to him. They trooped downstairs with their backpacks and walking boots. “Two bacon sandwiches in the name of ––––– please.” said her father. They paid and left the bar, both clutching hot sandwiches. They sat outside eating their breakfast whilst choosing their route up the mountain. “But we always take the miners track!” she moaned. “I know but it would be easier on our legs,” he replied. “I think we should take the Pyg track and then once we get over the shoulder, carry on round.” she said. She nodded. They both loaded their heavy packs into the car. They followed the road round, up the hill to the Pen y pass car park. They went into the café and bought sandwiches, crisps and biscuits, enough for lunch and dinner. They paid and went out to the car and laced their feet into big walking boots. Then they began to walk. The track was steep and rocky. The landscape was breathtakingly beautiful. The way the slate and grass rolled along the hills in harmony was something that she had never seen before. Every now and then the bleat of a ewe, defending her lamb from a passing car could be heard. The two walkers walked hand in hand for an hour or two, talking about the things that had never been bothered to be said before. Suddenly, the view changed. They had reached the shoulder and were looking at the glacial lake. But she thought it wasn’t as beautiful as her father had described. The surrounding area was covered in thick snow. “But I checked the weather forecast this morning!” he spluttered. “The mountain weather forecast daddy?” she asked. They dug around in their bags, searching for scarves and jackets. They glugged some hot tea from a thermos and trudged on up. The snow was getting worse and worse. As the track got steeper, it became harder to walk due to the black ice. All you could see was a blanket of white snow and black specks, marching to the summit, guarded by the white, wet sentinels people had built along the way. A few hours later, the man and his daughter reached a queue. People were shivering and crying, all desperately trying to reach the shelter at the top of the mountain. An older man was lifting his toddler whilst trying to maintain his balance himself. The ice under foot was treacherous, waiting for someone to slip and fall to their death, down to the silent, snow covered rocks below. The queue was slowly becoming shorter as people managed to clamber to safety. When the girl and her father had climbed to the shelter on the top of the summit, they sat down and huddled together. The hug said so much, there was the apology from him and the regret from her and the fear from both that this was the last time they would embrace each other and that they would die on this god damned mountain. We haven’t walked the mountains together for some years; I miss that company painfully. This brings back so much more than just a walk.